Wild Rice | North Bay Trading Co.
Our wild harvested Canadian Organic Wild Rice is the best available and a top seller. We also carry Minnesota Wild Rice, which is also very good but has a smaller grain. Also, see our wild rice recipes (tab below). Wild rice — an aquatic grass seed — higher in protein than white rice and grains. Our premium Canadian Organic Wild Rice, from Canada's pristine northern lakes, is certified organic, wild harvested, has a jumbo grain that is 1/2 to 3/4 of an inch long, and is often used alone as a side dish and as a major ingredient in salads and entrees. Our Minnesota Grown Wild Rice, also very good, has a 3/8-inch grain and is often used for soups, stews, and casseroles, as well as for side dishes, entrees, and salads. Send as Gifts: Use our multiple addresses shipping feature and gift messaging to send wild rice to friends and family. Wild rice — many ways to cook and serve. Make an entree by topping hot wild rice with grilled fruits or vegetables. Create a salad of cooked and then chilled wild rice — put it on a bed of lettuce and top with your choice of fruits, vegetables, cold shrimp, cold crab, and, if you wish, a favorite dressing. Use wild rice in soups and casseroles. Or simply serve on the side with you favorite entrees. More details and ideas appear in each wild rice View Details /Cooking Tips tab. Also see any possible Customer Reviews on the wild rice product detail pages. Wild rice from North Bay Trading Co is harvested and prepared for sale in a manner which ensures perfection in flavor, preservation of nutrition, and prevention of mold. Our wild rice is ready to be picked when the seed turns naturally deep brown or black. We do not harvest early, as this results in a collection of immature, pale wild rice. After harvesting, we begin to prepare the wild rice for consumption, with the goal of maintaining nutritional value and lowering moisture content. We are careful to preserve the nutritious black outer hull and dry the wild rice down to 7% moisture content. Some wild rice processors remove the black hull to obtain a shorter cook time. This results in a light brown wild rice, which is less nutritious. Also, not all wild rice is dried properly, which can lead to a moldy aroma when it’s later cooked. We have been involved in the wild rice business since 1987. We know the harvesters, the lakes, and the folks who process the wild rice. We are pleased with the size, aroma, and beautiful color of the northern Canadian wild rice. We are very fussy about the quality and flavor of our wild rice! Visit our photo slides for more insight on the Canadian wild rice. Our Canadian wild rice is certified organic by MCIA. Sauté the celery and onions in butter. Add remaining ingredients. Mix well. Bake covered for 35 minutes or use as a stuffing in poultry. 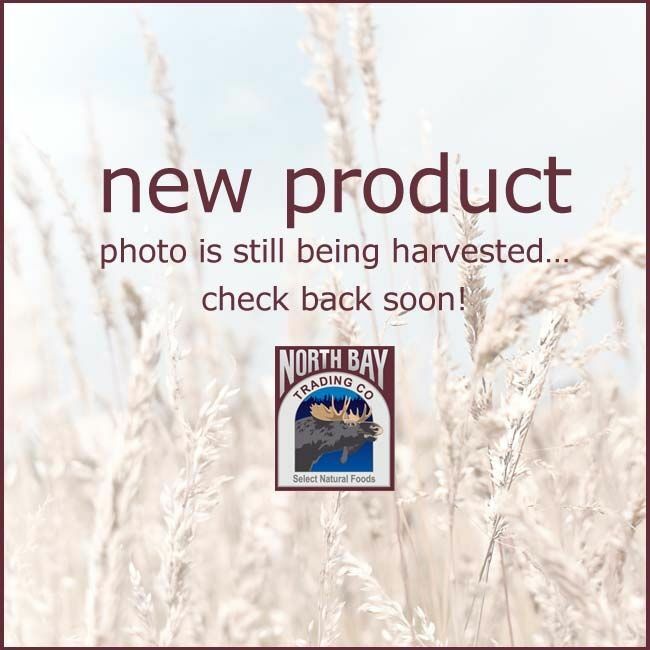 Below wild rice recipes are reprinted from the North Bay Trading Co “Wisconsin Gourmet Restaurant and Country Inn Wild Rice Recipe Collection,” compiled by Greggar Isaksen of North Bay Trading Co., and published in 1991. First the basic wild rice recipe and then wild rice cooking ideas from some of our wild rice recipe pros! Basic Wild Rice — Greggar Isaksen, North Bay Trading Co. I like to serve plain with butter, salt and pepper. You may never serve white rice again! Remember that the wild rice expands 3-4 times when cooked. At home, we have usually made 1 1/2 cups of raw wild rice for a family dinner for four so no one is left hungry! Cooked wild rice freezes beautifully. Prepare wild rice according to the basic recipe. Combine the mayo, pineapple juice and seasonings. Whisk together. Set aside. In a large bowl combine rice and all remaining ingredients. Toss with mayo mixture. Chill until ready to serve. Sauté onion and pork sausage until the onions are transparent. Mix all ingredients together and stuff 1 large chicken or 5-6 game hens. Double the recipe to stuff a 12 lb. turkey. Will not dry out the bird and stays moist. Excellent side dish when baked in glass baking dish for 35 minutes at 350 degrees. Sauté lightly in a small amount of butter the onions, carrots, pecans, garlic and herbs. Add to the rice the above ingredients and in the eggs, bind with the Japanese crumbs. On a hot buttered skillet form small pancakes by hand and flatten with a spatula. Cook golden brown and flip. Sauté the onion with the clarified butter. Bring the chicken stock to a simmer with the saffron added. Onions should be sautéed until transparent and then added to the converted rice. Mix well. Add the chicken stock. Bake in a covered glass baking dish for 45 minutes at 350 degrees. To finish, mix the freshly cooked wild rice with the saffron rice and serve piping hot. Place rice, broth and onions in a covered baking pan and bake at 325 degrees until all the liquid is absorbed. Add more broth if necessary. Bake about 45 minutes. Cook bacon till crisp, drain and crumble. Remove Wild rice from oven and while still hot add all ingredients. Toss gently. Serve as an accompaniment or use as a stuffing.